After their first set of tips for making your food photos more awesome, Mango Street are back with another quick, but great tutorial on this topic. 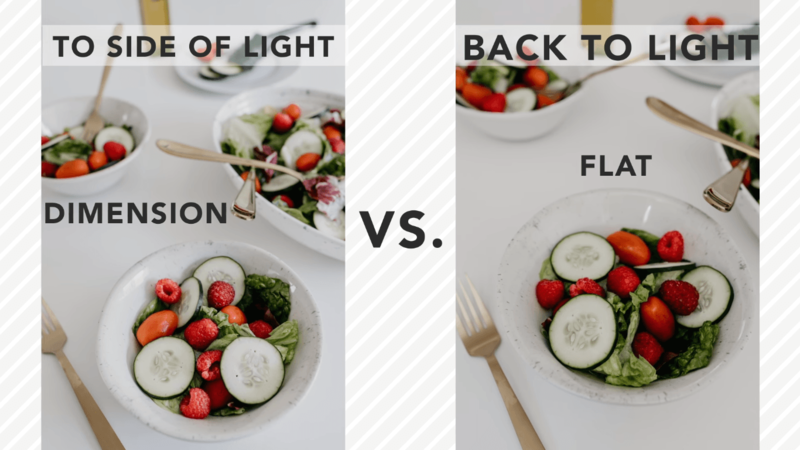 These are the tips you can use for a variety of purposes – from making your food snapshots on Instagram more appealing, to improving your food photography if you want to get more serious about it. Also, these are techniques you can apply to other types of photography as well, if you’re not really into taking pictures of food. Either way, you will find them useful. When you take photos of food, it’s the best if the light is in front of you, or on your side. This will give more depth and dimension to the subject. Make sure not to block the light, because this way you can cast a shadow or make your image more flat. I’d say this is common sense, but maybe it’s not bad to remind ourselves of the best position of the main source of light. 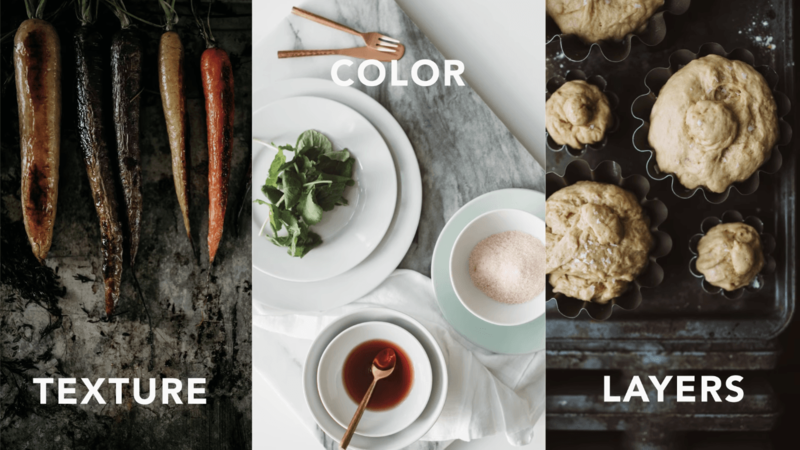 Adding textures, colors and layers add interest to your photos and help you tell the story in more detail. If the setting is neutral, the color of food will grab the attention and draw the eye of the viewer. When it comes to textures, they also convey a story. A flat, white counter gives a feeling of sleek and clean setting, while a rough cloth gives a feeling of more rustic and homey. Layering is a great way of taking your images to the next level. If you feel that your scene needs something more, but you can’t quite figure out what – try building layers. 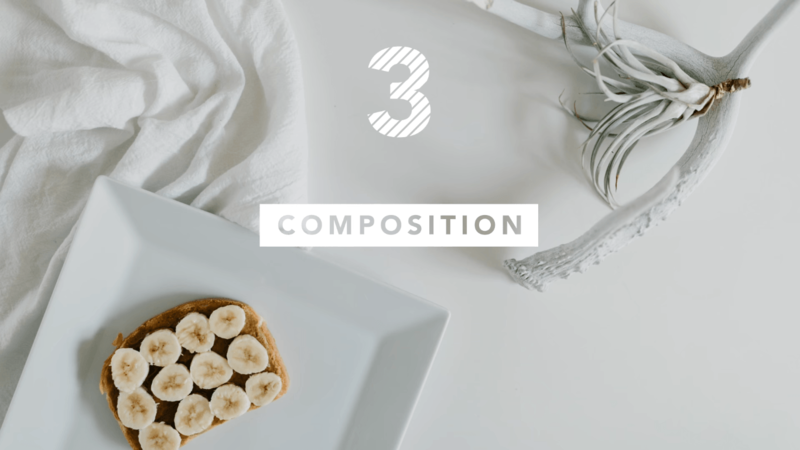 Just like textures, colors and layers, the composition also helps you convey a message and tell a story. If the image is dominated by negative space, it can send a message of solitude, like a quiet breakfast or coffee for one. On the other hand, if you fill the frame with various elements, the viewer can feel involved in the scene. You can elude the feeling of making food in the kitchen or make the viewer feel as he’s taking a peek at something that is a part of a bigger picture. If you decide for this setup, make sure that all of the items serve a purpose of telling the story, don’t just stack them randomly. If something distracts the viewer from the story you want to tell, remove that item. 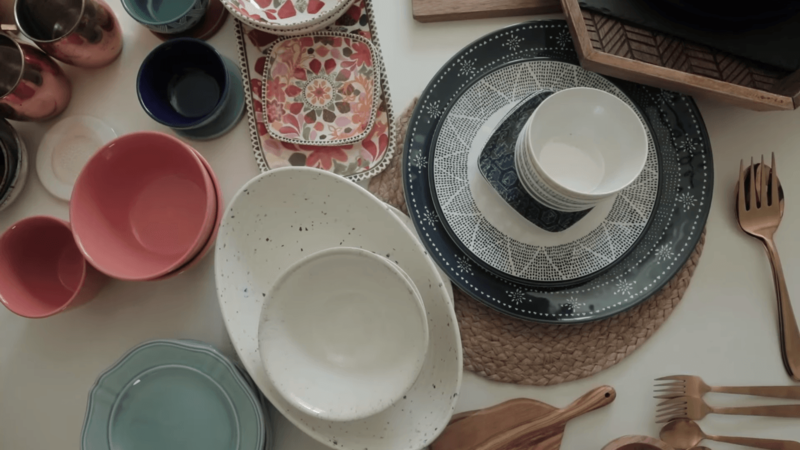 If you’re serious about food photography, start building your collection of props. 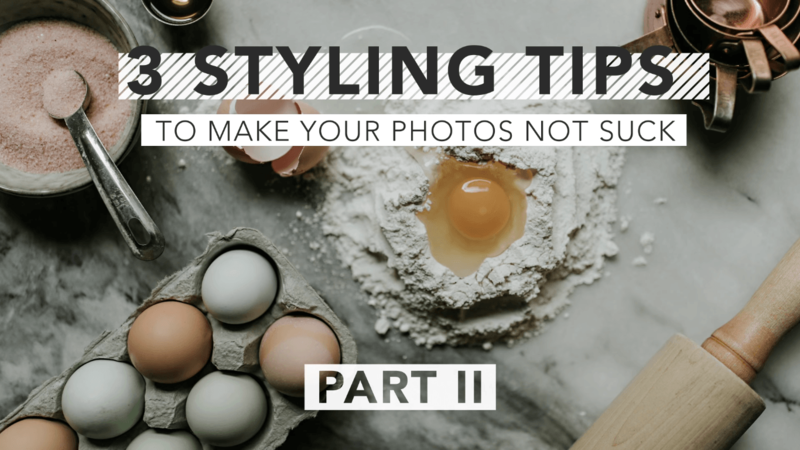 Pay attention to the dishes and props that could add interest to the scenes you photograph, keep your eyes open for stuff like that when you’re out. If you’re just starting out with food photography, keep in mind that it’s not just snapping delicious-looking food. Even these photos have a story to tell and a mood to convey. And if you’re only shooting for Instagram – well, why not make it a little more stylish and appealing?